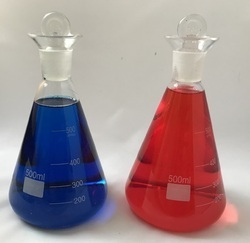 Reagent Bottles, Media Screw Cap Bottles, Boiling Flask, BOD Bottle, Aspirator Bottle, Laboratory Flasks, Round Bottom Flask, Filter Flask, Measuring Cylinder, Funnels Glass, Sox Wet Extraction Apparatus, Beakers Lab Glass. Leveraging on our quality oriented professionals, we are offering Iodine Flask to our clients. It is widely used for determination of iodine. It has ground socket and cup shaped top. 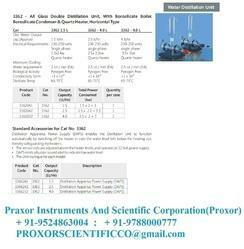 It is provided with inbuilt funnels which play an important role in limiting spill and dripping in labs. We are offering this at leading market price. We are renowned as the most popular enterprises in this industry, offering a wide gamut of Laboratory Glass Wares. Offered glass ware is used for conducting various tests and research activities in different medical areas. The given glass ware is reckoned in the market due to their crack resistance, durability & high strength. This glass ware is checked on various parameters so as to deliver a flawless range. 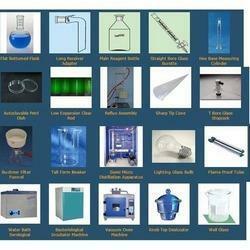 Manufacturer & Exporter of Distillation Apparatus. Our product range also comprises of Condom Moulds, Laboratory Flask and Laboratory Bottles. Manufacturer & Exporter of Glass Condenser & Short Path Condenser. Our product range also comprises of Condom Moulds, Laboratory Flask and Laboratory Bottles. Manufacturer & Exporter of Glass Condenser for Hospital. Our product range also comprises of Condom Moulds, Laboratory Flask and Laboratory Bottles. Manufacturer & Exporter of Volumetric Flask for Chemical. Our product range also comprises of Condom Moulds, Laboratory Flask and Laboratory Bottles. Manufacturer & Exporter of Reagent Bottle for Laboratory. Our product range also comprises of Condom Moulds, Laboratory Flask and Laboratory Bottles. These Vacuum Desiccators are provided with a transparent Polycarbonate bottom that makes it more robust and provides excellent view of the desiccators. All the other features are same as PP/PC vacuum desiccators. Our organization is standout provider of Separating Funnel to our clients. It is also referred to as funnel or separation funnel. This is used in liquid to liquid extractions for separation of components of mixture into 2 immiscible solvent phases of different densities. This is used in laboratories and has accurate dimensions. This Separating Funnel is delivered to our clients in specified time frame. Being as the reputed organizations in the market, we are engaged in offering an exclusive array of Amber Volumetric Flask that is acknowledged for their features like strong, unbreakable and clarity. 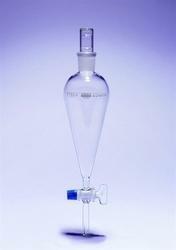 The offered volumetric flasks are used for dilutions and for preparation of standard solution. 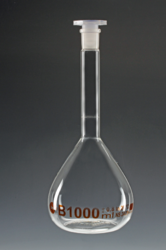 Owing to light weight, easy handling, perfect design, thermal resistance and durability, the offered volumetric flask is widely appreciated by our clients. 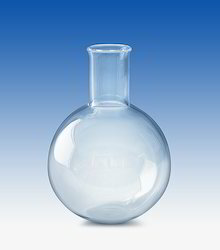 Leveraging on our quality oriented professionals, we are offering Volumetric Flask to our clients. 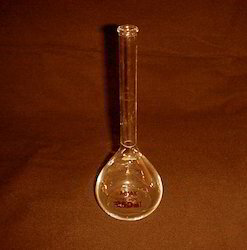 It is measuring flask or graduated flask. It is widely used in laboratories and has been calibrated to certain volume. It is able to give precise estimate of specific liquid quantity. It is important for use in different industrial applications. We are offering this at suitable price to our clients. With our in-depth knowledge and experience, we are engaged in offering a wide array of Auto Burette. Our offered auto burette is accessible in different stipulations as per the needs of the patrons. Offered auto burette is developed at our premises utilizing quality tested material, in conformity with set industrial norms. This auto burette is tested from our end on numerous parameters so as to dispatch a defect free range. Burettes, Automatic Zero, Class "A" with Rubber bellow, with reservoir, Glass Stopcock,with certificate . Made From Heat Resistant, Low Expansion 3.3 Borosilicate Glass,GLASSCO. Due to our honest business standards and transparent deals, we are steadily making our way to the platform of success by offering a superior grade range ofSwabs In Stick. 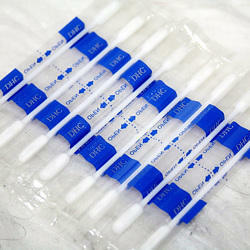 The offered swab finds its application in medical industries, hospitals, laboratories and other allied places. It is made up of finest grade material and contemporary techniques in adherence to set medical industry norms. 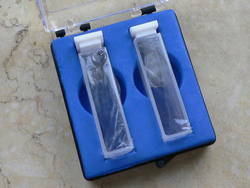 Clients can avail this swab from us at pocket friendly price. Borosilicate condenser and boiler are fitted with a removable silica sheathed heater and screw threaded connectors for ease of cleaning. Distillate temperature is approx. between 25 Degree to 45 Degree C which is ensured by an efficient condenser. Screw Threaded Connectors These are provided for easy plumbing & Installation to avoid any glassware breakage during assembly. Boiler is provided with Replaceable Constant Level Device for easy draining and cleaning of boiling chamber. Electrical Power 220/240 V, 50/60Hz, Single Phase Supply. This model is equipped with in-built temperature switch to protect the Glass parts in case of water failure or overheating. Gate Valve Conserves coolingwaterwastage in case of powerfailure. Flow Switch In-built safety feature for the equipment unit shut off in case of cooling water failure. 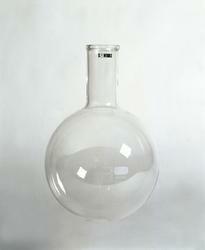 Our organization has risen to top in offering Flat Bottom Flask to our clients. Offered range has been made by usage of glass. It is designed to withstand pressure and temperature difference. It has uniform wall thickness which makes it perfect for use in heating applications. It has flat base and flasks can be easily set down without usage of supporting ring. Apart from this, we are offering this at convenient price. Our organization is instrumental in offering supreme quality range of Borosil Glassware. 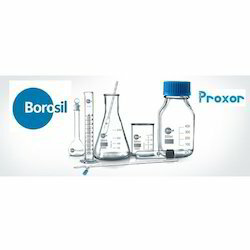 This borosil glassware is thoroughly used for doing chemistry, physics and various bio-chemical experiments in laboratories. We provide this borosil glassware on diverse specifications within promised time frame as per customer’s necessities. This is due to the fact that borosilicate is a non-toxic, sturdy and reliable material which can simply withstand temperature fluctuations.